Mandarina Duck will launch Black & Red, a new aromatic fougère fragrance for men, in early 2016. Black & Red is a flanker to Mandarina Duck Black. We present now a new fragrance for the Black line. MANDARINA DUCK BLACK & RED. Red is fashionable, and fashion trends form an intrinsic part of the innovative Mandarina Duck spirit. Red also symbolizes power, vitality and dynamism. MANDARINA DUCK BLACK & RED is for the energetic, dynamic and daring man, as it’s no small coincidence that the colour red is associated with action and energy. Daring and bold, the combination of red and black adequately defines this man of extremes. A man in search of constant challenges, yearning to explore the unknown to set new goals and achieve his aims. Black & Red was developed by perfumer Nathalie Lorson. The notes feature citrus cocktail, violet leaves, sage, red geranium blossom, orange blossom, moss, cedar, vetiver and tonka bean. 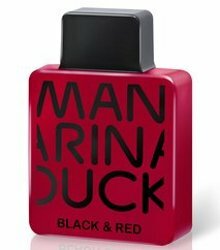 Mandarina Duck Black & Red will be available in 50 and 100 ml Eau de Toilette.